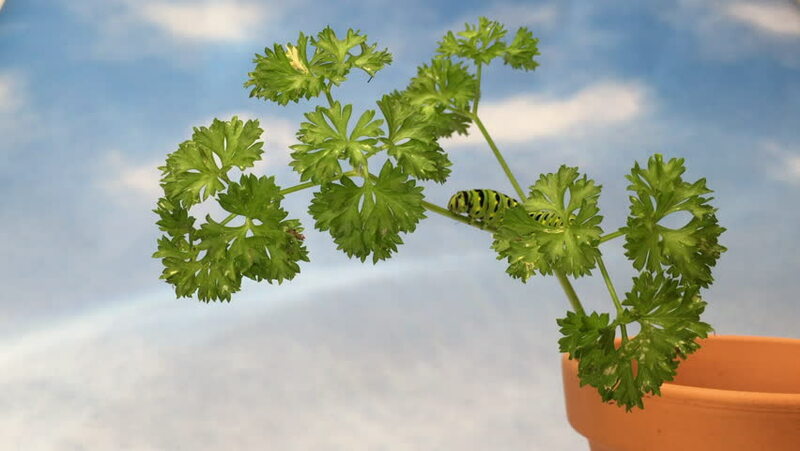 4K HD video of one Black Swallowtail caterpillar, Papilio polyxenes, climbing up parsley plant i clay pot, looking for food. Blue background sky with clouds. 4k00:514K HD video of one Black Swallowtail caterpillar, Papilio polyxenes, upside down, eating parsley plant. Blue background sky with clouds. 4k00:434K HD video of one Black Swallowtail caterpillar, Papilio polyxenes, upside down, eating parsley plant stops turns around walks up stem. Blue background sky with clouds. hd00:10Fields of grapes, autumn harvesting.